Before heading into the 4th season of Seinfeld, Rob Cesternino and Akiva Wienerkur rank the 11 shows that aired on Thursday nights on NBC with Seinfeld and Friends, as well as Akiva’s 31 favorite cereals. Before delving into Seinfeld‘s season four, Rob Cesternino and Akiva Wienerkur devoted this episode to some of Akiva’s rankings. First, the guys go through and rank 11 of the short lived sitcoms that called theThursday time slots surrounding Friends and Seinfeld home. And because of overwhelming requests on Twitter, Akiva will give a quick ranking of his 31 favorite cereals. 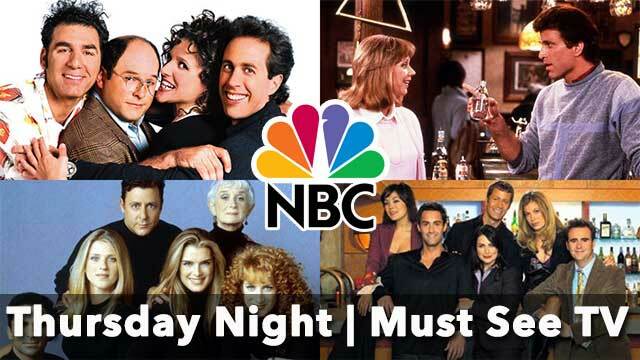 There were many sitcoms that NBC trotted out for their Must See TVThursday juggernaut. Though many of these shows brought in over 20 million viewers, most of them saw ratings drop drastically after they were given the opportunity to carry a different night on the schedule. Madman of the People, airing 16 episodes from 1994-1995. The Single Guy, airing 43 episodes from 1995-1997. Caroline in the City, airing 97 episodes from 1995-2000. Akiva spent the last ten minutes of the podcast giving a rapid fire order of his favorite cereals. Because he doesn’t eat chocolate, some classics like Coco Puffs and Coco Pebbles didn’t crack the list. Lucky Charms isn’t kosher, so it won’t make the list, though Rob felt that it should make no one’s list. A few notables were Life, Berry Berry Kix, Rice Crispies, Wheaties, Apple Jacks, and Raisin Bran. 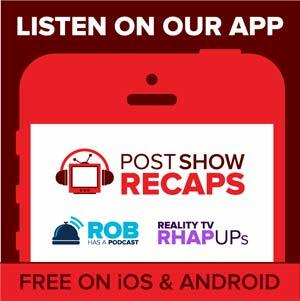 There was a fast turnaround to the recap of season four’s first episode “The Trip”, as it’s available now at postshowrecaps.com. Email your suggestions on this and of course send in your questions by emailing[email protected] . 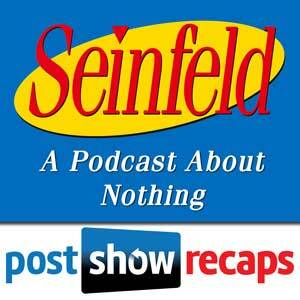 Don’t forget to subscribe to the podcast by going to postshowrecaps.com/seinfeldITunes where you can rate and review the podcast. Follow them on twitter @robcesternino and @keev26.